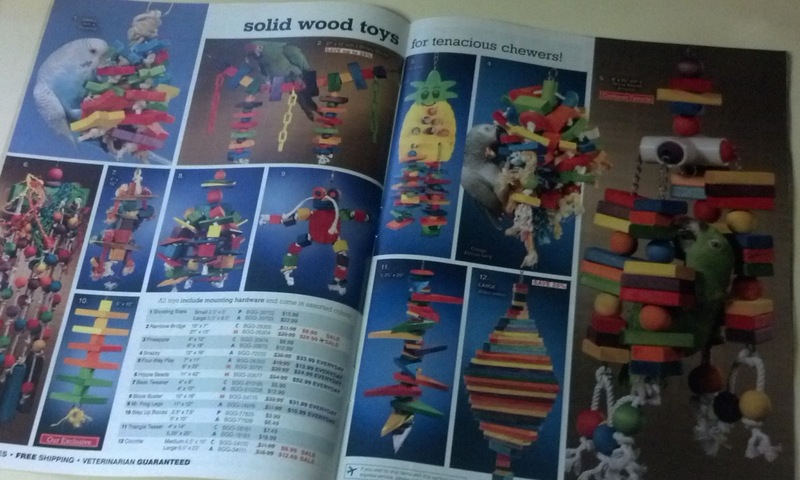 Any parrot person who has flipped through the pages of a parrot catalog recently or checked a website online knows that prices for parrot chew toys are insane. And that's just for the small and medium parrots. 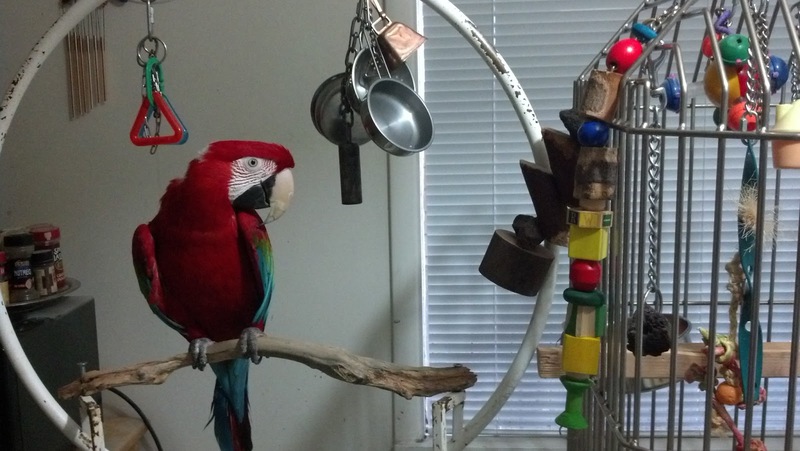 Imagine if you live with five macaws like we do! Trying to keep the parrots in chew toys chews through a paycheck in no time at all. And this is for toys that are intended to be destroyed! 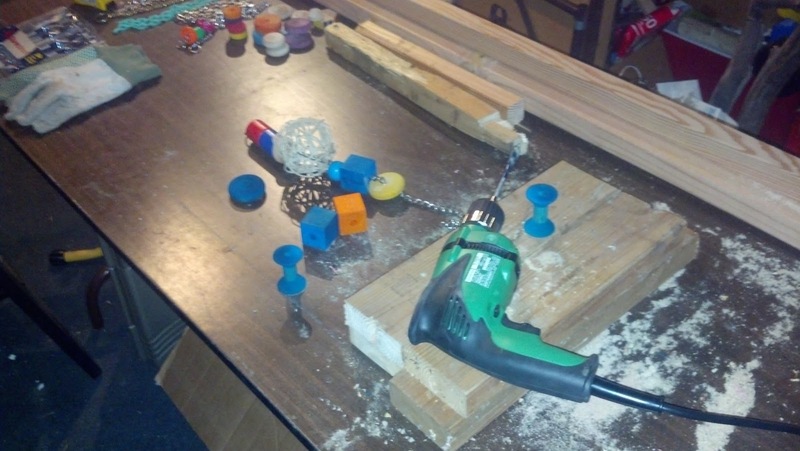 So we decided to start building our own parrot toys and trade some of our time and elbow grease for money. We made a small investment in some necessary tools, like a Skill saw for $30 and a Hitachi drill for $40 to start. Got some 2 by 2s and 2 by 4s, some stainless steel chains, and set up a work table in the garage. The Ballard Parrot Works was open for business! 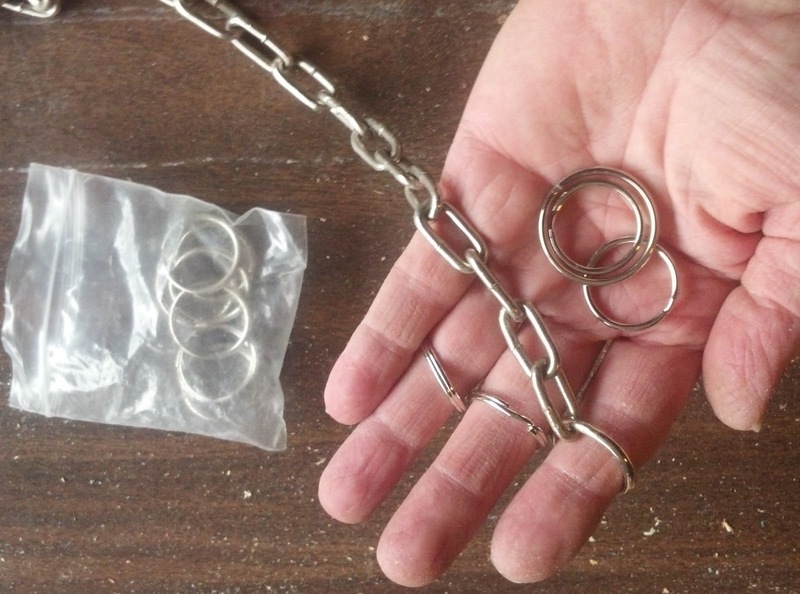 With our macaws stainless steel chains are a requirement. At one time we tried using rope, which lasted about ten minutes under a macaw beak. 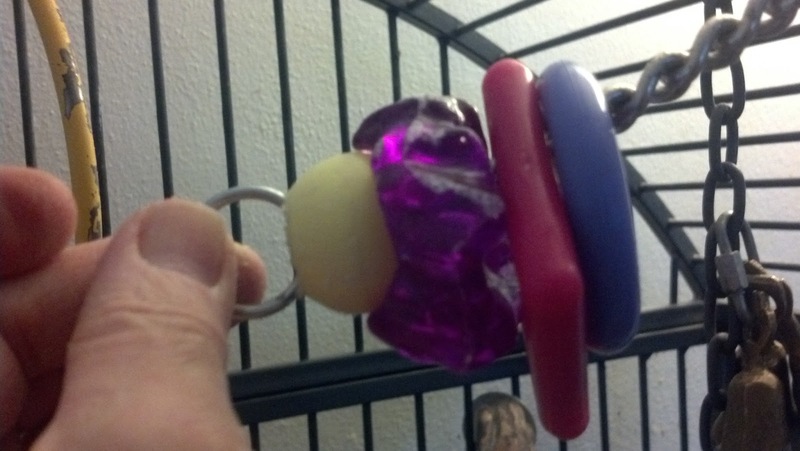 We like to use ring fasteners to secure the chew toys on the chain because they tend to be parrot proof and they easily come on and off when it's time to add new chew toys. 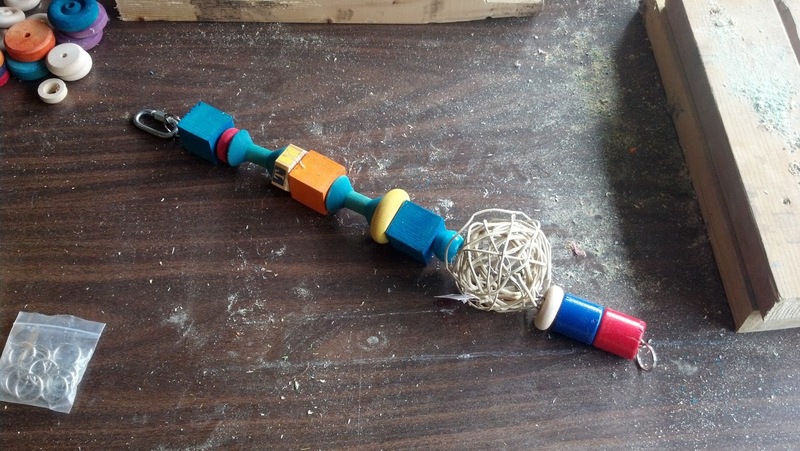 We can also assemble simple toys with a stainless steel chain and some plastic balls and rings which keep our smaller parrots happily entertained for hours at a time. 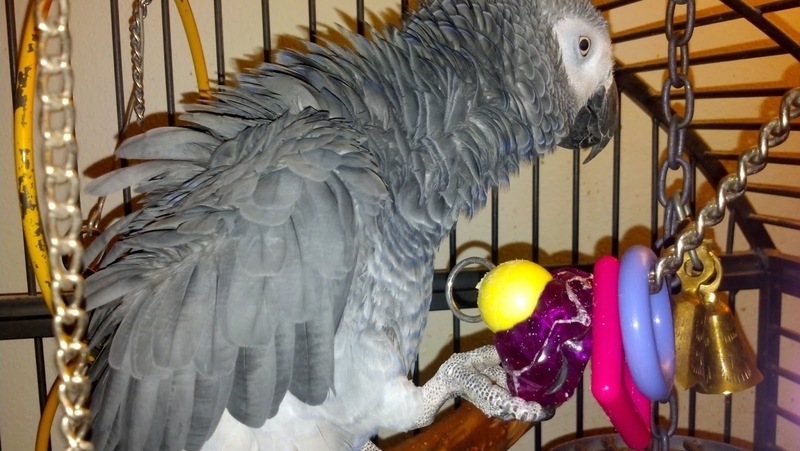 Our Congo African Grey parrot Arua obsesses over this toy. She finally chewed her first one to pieces, so we assembled another one. We believe that she thinks there must be a way to take the rings off of the chain. She's determined to figure it out! 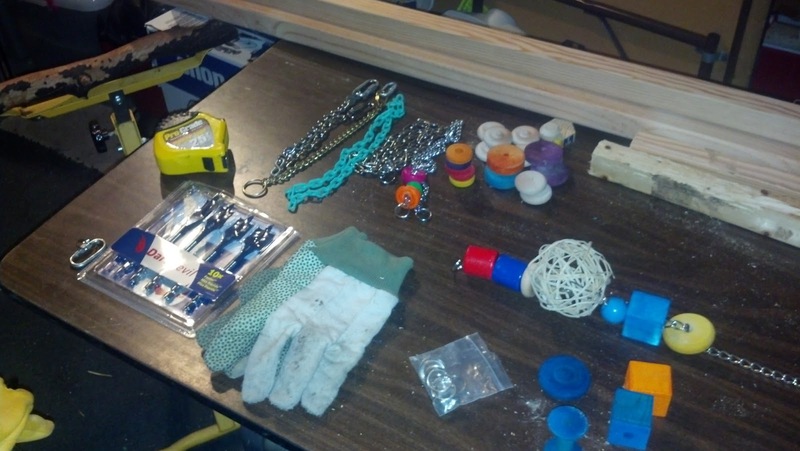 With time and experience we'll figure out what kind of tools and materials work best for our parrots. For now we're having a great time building toys in the garage. And the results speak for themselves. 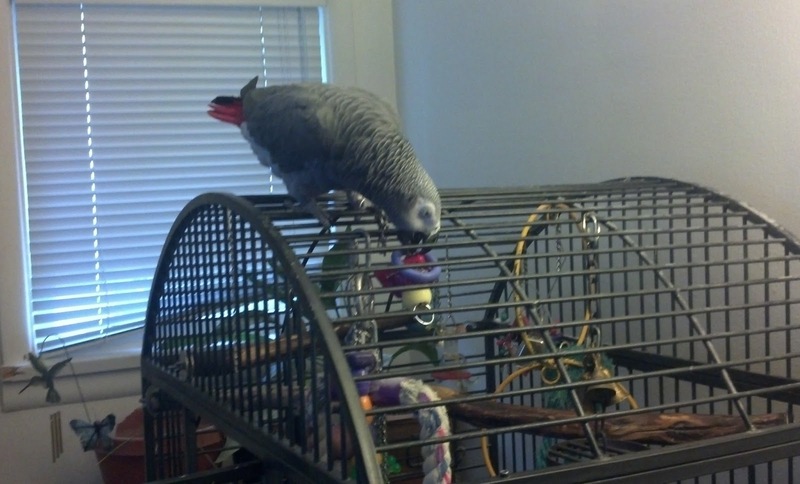 Our Greenwing macaw Roxanne eyeing her new string of chew toys as she decides how best to destroy it!